Some conservative critics are calling out late-night talk show hosts Jimmy Kimmel and Jimmy Fallon for not making jokes about Virginia Gov. Ralph Northam, who has gained national attention for his admission that he dressed up in blackface in the 1980s. Kimmel and Fallon’s critics argue that the two may not be not condemning or mocking Northam because they have darkened their appearances in the past for comedic performances. The New York Post, Breitbart, and Fox News are among the outlets that have taken note. So has the Washington Times — twice. Fallon did a Chris Rock impression back in his “Saturday Night Live” days around the turn of the century. His full hair and makeup included blackface. Multiple people with knowledge of the show told TheWrap that the impersonation was likely done with former cast member Rock’s blessing. Kimmel wore dark makeup when playing Karl Malone and Oprah Winfrey on “The Man Show,” a series that ended in 2004. Neither Kimmel nor Fallon have mentioned blackface in their monologues since the Northam news broke. But Fallon has not completely ignored the Northam scandal. The joke was in reference to reports that Northam appeared in a 1980s yearbook photo dressed as either a Klansman or in blackface. Northam said in a news conference over the weekend that he was not in the photo, but admitted he once darkened his face for a Michael Jackson costume. Three people with knowledge of Monday’s “Tonight Show” taping told TheWrap that Fallon told a Northam joke at rehearsal, but the quip did not make it to air. Representatives for NBC and “The Tonight Show” declined to comment. Fallon taped this week’s Thursday and Friday shows on Thursday, and did not mention Northam or blackface in either taping, according to two people with knowledge of the situation. Watch Kimmel as Malone below. We followed up with both to ask if Kimmel brought up Northam or blackface at Thursday’s taping, but did not immediately hear back. 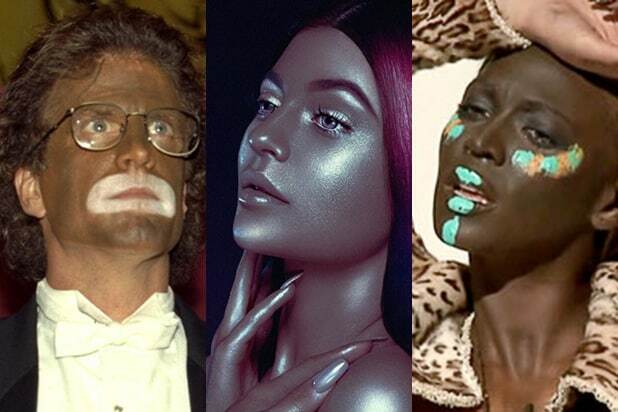 Kimmel and Fallon sure are awfully quiet on the blackface scandals! The comedy potential in Northam absurdly admitting to moonwalking while blacked up as Michael Jackson was endless, but late night comedians ignored it. Wonder why?